With the spread of internet in the 1990s, businesses have got a completely new look. And it’s not only the look, but the entire way a business works and operates has transformed into an advanced one. It has been estimated that about 95% of the business decisions starts with a search engine search and here marks the importance of any website of a business. The cost-effective way to present your business and that too which is around the clock accessible is what generates more business. For this and more many other reasons, a website forms an indispensable part of any business. Attractive website with excellent content helps to be among the pre-eminent businesses. In a perfect competitive market, where homogeneous products are being sold, it is one of the key responsibilities of businesses to make their website impressive and user-friendly to stand exceptional from the crowd. However, having a website is not just the thing. What comes along is continuously updating it or even sometimes revising it. This is what revamping is. In simple terms, revamping is to renovate or revise or restructure. Website revamping does not deal with is the website good enough? But, rather it deals with could be even better? Most businesses are expert in their product but not in websites and this is the reason most businesses have outdated websites. Due to SEO, which is Search Engine Optimization, search engines select the updated and the popular sites on their top list. 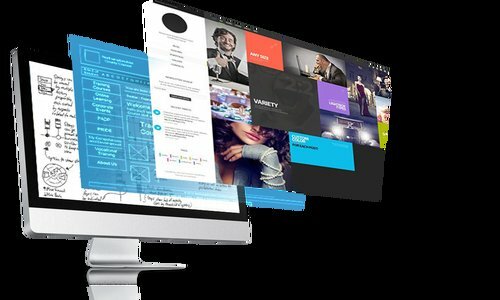 In the fast growing technological world, where the focus is given on user-friendliness, and where the screens are transforming from simple to HD and 4K, an easily accessible attractive website is what catches the eye. Moreover, when the entire web industry is trying to settle in the smartphones, websites should be easily operated and navigated from the mobile devices. It has been found in a research that about 17% of the overall web traffic is from mobile devices. People expect the same user experience as they have from their computers. When a visitor views your website, you have just few seconds to make an impression and those few seconds count because they are the ones that will be generating potential customers. Clients have more trust on websites that updated. 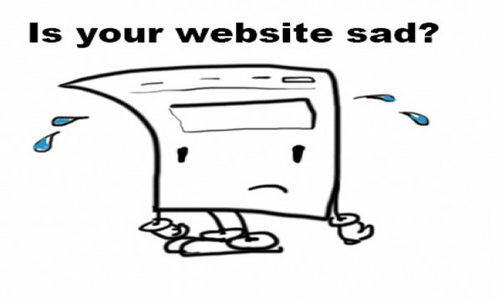 Outdated websites are thought of unsecure, untrustworthy and out of business. If the homepage is loaded with too much of the content, it takes away the attractiveness of the site. Lengthy scrolling often tends the visitor to go bore and read all about you in just one screen. Using more and more images is recommended to make it more attractive. 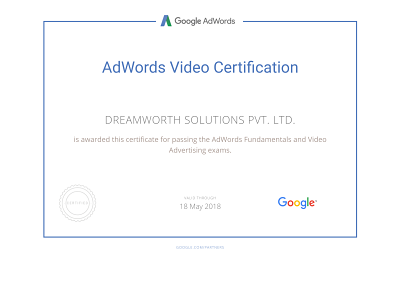 Also, videos and pictures add value to your websites. Creative content and which is SEO supported will help to gain visitor’s confidence. Using strategies to create creative and extraordinary content holds huge capabilities. A revamped website demands an excellent content because content is an integral and probably the most important part of the entire business. The content should not be difficult to understand and interpret and also more use of jargons should be avoided. It should be written in very language but in a creative way so that every visitor can understand it easily. When you find that the number of online business leads has been considerably reduced and your website fails to display what currently you are doing along with your progress in your business, then you need website revamping. You should make sure that the visitor is getting a clear idea of what exactly you have done, what you have achieved till date, what exactly you are doing and what exactly are your future plans. By this, he gets a fair idea of your business potential. If your website is working slower and even it is being hacked, then it is the time that you need website revamping because outdated websites are easily accessible to hackers. The speed with which your website loads will determine if the visitor will be engaging himself in looking your website or just leave because a lot of visitors just decide to leave when it takes more than 5 seconds to load the website. Moreover, Google has factored web page speed into their algorithms and so, a slow website will affect search engine rankings. When your competitors’ website is revamped and is been displaying their updated contents, then with no more time wasted, you should go for revamping your own. A wise businessman never allows his competitor’s website remain more accessible and attractive than his own. 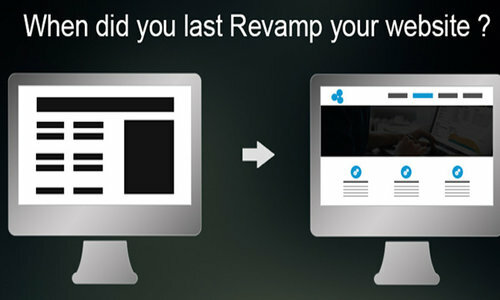 A timely website revamping is what he prefers always. It makes website easy to find. It makes easy to navigate throughout your site. It makes website easy to read and download. It makes website consistent in layout and design. It adds new pictures and/or new colors. It adds better content, recent news, and more comprehensive product/service information. It makes changes in aesthetics and overall structure. 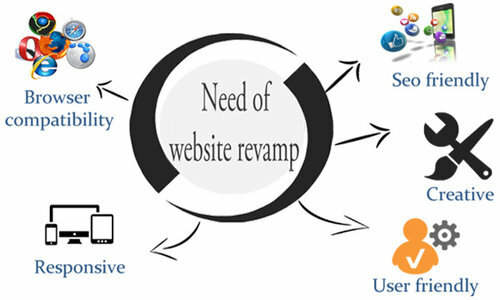 It is as essential to revamp a website as it is to develop one. Website is what showing you and your business at the global level. Therefore, it becomes your utmost duty and responsibility to display you as the best and the exceptional one. Also, visibility is very important for a business to spread through word of mouth. Since website is the face of your business online, you should make sure it is updated because an outdated one reflects poorly on your business. So, get yours one revamped now. Small businesses usually prefer a static website because they are easier to make and costs cheap. These websites use only HTML and CSS and can manage about 20 pages maximally. Dynamic website is preferred by large businesses since it can incorporate company logos, added menus and other stuff very well. These websites uses scripting along with HTML and CSS. A website that can be accessed smoothly from any device right from a large screen desktop to a small screen smartphone is referred to as a responsive website. No! SEO, i.e., Search Engine Optimization is a strategy that helps in effective digital marketing. SEO can be said as a base of digital marketing. Do we provide documentation for the project? Yes! After having studied your entire project, if required by the client, we provide documentation for the project in various formats that include MS Word, PDF, etc. The traditional marketing methods have limits in terms of accessibility, outreach, cost, data analysis, etc. 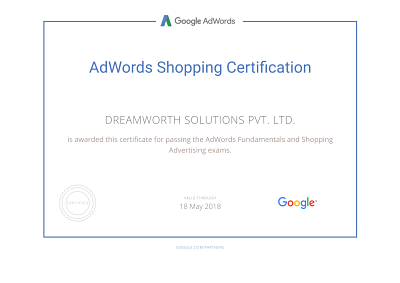 Digital marketing, on the other hand, extends your outreach and takes you directly to the global platform in less time. The ease of marketing, the time-cost efficiency, real-time data analysis, etc. makes digital marketing the preferred choice over traditional marketing. Do we share project milestones with the client? Yes! We love to do that since this helps to build confidence in the client. Do you have hidden costs? No! Once we have explained a particular service that is being demanded by you, we place our price before you and then you have to pay for that only. Do you provide 24 X 7 support? Yes! We love to serve you 365X24X7 for any technical or non-technical matters. Do you provide Maintenance Services/ AMC? Yes! We do provide Maintenance Services. For the first year, there will be no charge and after one year, we can provide it on demand. Do we have online payment options? Yes! Being a part of the digital world, we provide that option to you and you can make payments through online mode.